Your clients are counting on you. Get ready to add value to your program! Now with LEGO® SERIOUS PLAY® and Conflict Analysis and Management, you can use these combined powerful methodologies. We have wrapped psychometrics tools and know-how into the Strategic Play® toolkit and developed a unique and powerful program that delivers huge value to clients. Conflicts are a part of life and should not be avoided - how we manage conflicts shapes our results from transformational to disastrous. Bringing in a third party to intervene is often the only way to help change the status quo. If you have a powerful tool, such as LEGO® SERIOUS PLAY®, the landscape and playing field changes dramatically. If you are a conflict practitioner, a process group leader, or a facilitator/management consultant wanting to learn a better way to analyze and manage conflicts, this training is for you. 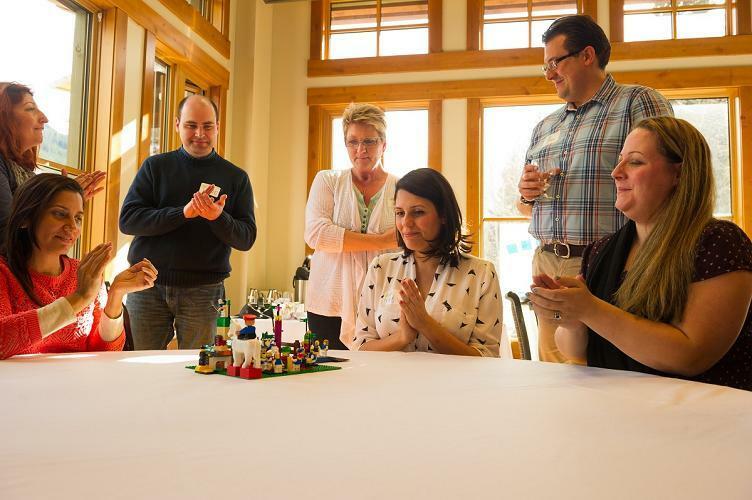 LEGO® SERIOUS PLAY® is an excellent tool for conflict analysis and management, and it is very effective in addressing issues that are challenging and otherwise unreachable. This training was developed and designed by SERIOUS PLAY® Master Trainer, Jacqueline Lloyd Smith, who also holds an MA in Conflict Analysis and Management and an MBA in Executive Management Consulting. She is also a Registered Management Consultant (CMC), and Registered Art Therapist (ATR). This training moves participants through processes where they explore individual and team identity, learning how it pertains to identity-based conflicts. We will be taking a deep dive into workshops and processes with groups in conflict or crisis. We use individual psychometrics to help understand conflict styles and thinking processes that often cause cognitive distortions (thinking errors), resulting in workplace conflicts. The social value and costs of conflict will be covered, along with the impact on culture within organizations. The last section of this training deals with systems thinking. We will apply LSP core principals to understand where the conflict lives and grows, what fuels it, and how to manage it. We will review group dynamics theory along with numerous conflict theories, and discuss how they pertain to conflict management within complex organizational structures. 9 Ways to deal with artificial harmony. Your own set of 3D Diagnostic Cards to use with your clients along with our book full of activity ideas. Okay, now it is time to register to make sure you do not miss this powerful training program. We have limited seats available and a wait list of people wanting to add this offering to their toolkit. NOTE: If you have no previous LEGO® SERIOUS PLAY® experience, you can take any one of the pre-courses first.